We generally spend a third of our lives in bed. To be honest, I enjoy sleeping just as much as I love art, reading and eating. I am one of those people who can literally spend an entire day snuggled under my covers. However, getting a good rest doesn’t really come that easily, especially when you don’t have the perfect mattress to pair it with. The fiancé and I have been suffering from back aches and poor sleep for the past couple of weeks. 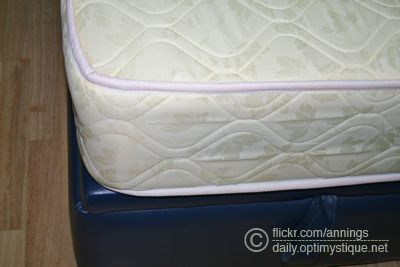 The foam mattress that comes with our flat had already worn out its lifespan. It was sagging in all corners, and since we also have a leather bed frame, having a foam mattress made it a little too warm (even with the air-conditioner on full blast!) to sleep. So, we finally quit putting off buying a new mattress for our own sake. We initially wanted the same Ikea sprung mattress we bought for JR‘s old single sized bed almost three years ago. But considering that we don’t really live in our own place and that our housing is somewhat temporary, we figured it would be better to scout for a more affordable alternative. After searching online, I found www.beds.sg, an online store that carries affordable beds and mattresses. Now, I normally wouldn’t entertain the thought of buying a mattress without seeing and trying the actual product, but seeing the number of positive feedback on the site and the numerous blogs boasting about their products and service, JR and I agreed to try it out. The Wasaly Luxury Mattress caught our attention. With over 360+ positive reviews, we knew it was already a winner even if we hadn’t even tried the actual mattress for ourselves. For only SGD150 (about Php4,900+ or USD106), complete with free delivery, we quickly made our online order with just a few clicks. Aside from the convenient ordering process, another advantage is its payment option. Unlike most online shops, payment for beds.sg orders are not done online (yes, no credit card details needed!). Instead, cash or check payments are more than acceptable upon delivery. Delivery of our mattress was scheduled between four to five in the afternoon last Friday (less than forty-eight hours after we made our online order!). The delivery crew ran a bit late, and from my own experience with deliveries in my old job in Manila I know there are a million and one unforeseen circumstances that can happen during delivery, so I wasn’t the least bit peeved at the delay. Instead, I just called customer service to find out about the tentative time of delivery. The lady I spoke to was more than gracious and helpful to call me back to let me know the delivery status, and after another call from the actual delivery crew, our mattress finally arrived. I’ve sort of been on a makeup-frenzy hiatus these past couple of months. Been battling the urge to make trips to cosmetic counters, because I know I’ll just end up splurging. I try not to go to the mall, because even if I attempt to control myself, my legs just don’t listen. They end up walking the familiar route to my favorite makeup stores anyway. She sold them priced really low, because they are actually pots of MAC eye shadow samples. 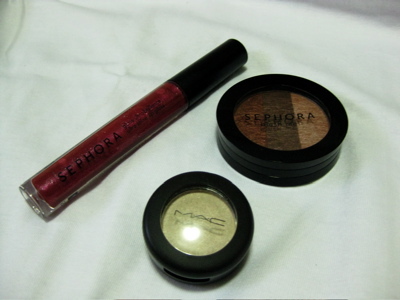 Apparently, hollywood stars get these type of sample freebies from makeup giants like MAC. Lucky!!! Gem‘s aunt who works for one hollywood star gave it to her. 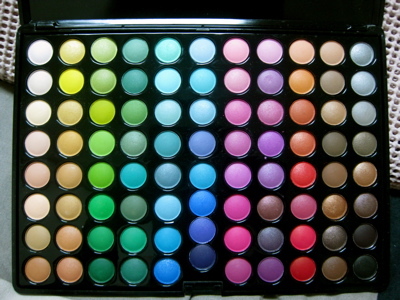 They are exactly the same as the commercially available pots of MAC eye shadows in the market, except for the labels which are marked samples. The Charm Blending Brush next to my MAC 217. I have to say that it’s the best alternative to the 217! It does the same job as the MAC brush, with very little to no difference at all. 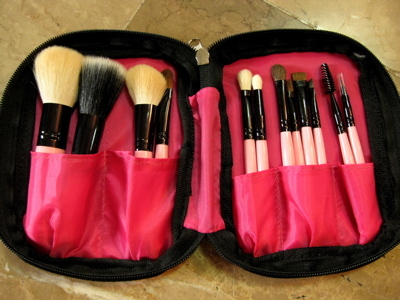 I already stored my MAC 217 to use only on special occasions, and have kept my Charm Blending Brush in my makeup bag for my daily usage. Hours before our flight back to Manila, we were roaming around Orchard for some last minute shopping. I still needed to buy a few more goodies for my family, and I also wanted to check out the newly opened Sephora before leaving. The range of makeup brands at Sephora was rather disappointing. No Nars or Urban Decay. Sad, because those were the two brands that I was really looking forward to. =( At least they brought in their house brand, which were priced quite reasonably. I haven’t shopped for myself since we arrived in Manila, but I’m definitely going to treat myself before we leave. 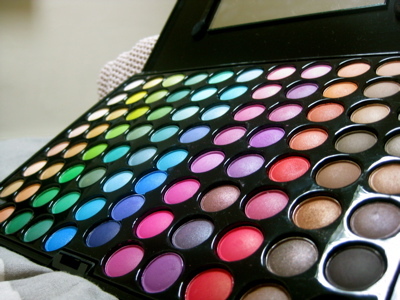 My new Coastal Scents 88 Eyeshadow Palette!!! Eighty-eight different colors!!! <3 I’ve been eyeing this set for quite some time and was overjoyed when I learnt that someone was selling it in the Philippines. I love how affordable it is. I only got it for Php1,350 (around SGD45)! That cheap for so many colors! Okay, so I’m sure it can’t even compare to the lovely Mac eyeshadows, but it’s a pretty good alternative.